"Music for Ballet Class". Vol 1 contains 33 tracks of originally composed and arranged music. The tracks are arranged with the intention of inspiring and stimulating both teachers and pupils and can also be used for choreography. "Peter Lodwick has, with this recording, composed music that makes the class "fly"! His playful rhythms make the music much more than just the supporting element; it becomes a dynamic exploration of the true meaning of movement. Peter integrates his enormous knowledge of ballet as an art form, with an artistic insight that transforms an every day class into an artistic experience. 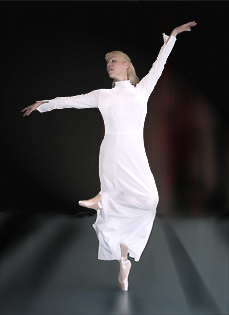 The music has a joy that is infectious - inspiring both dancer and teacher to a delight in moving." 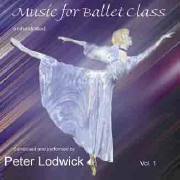 "Peter Lodwicks new orchestrated CD "Music for Ballet Class" came as a fresh wind into the ballet world! It is a joy to listen to his lively "tendus" and delicate "fondues". Graceful, beautiful, dynamic, intense and humoristic music that lifts and inspires the whole class.As a teacher it is wonderful to have so much variety on one CD. It makes my work much easier and more enjoyable. My students have expressed their delight with this new music, which also inspires their own creativity. The CD is multifaceted and can also be used for improvisations or small choreographies."